Unquestionably there are some items, chic and relevant through the decades, that no female wardrobe is ever complete without. 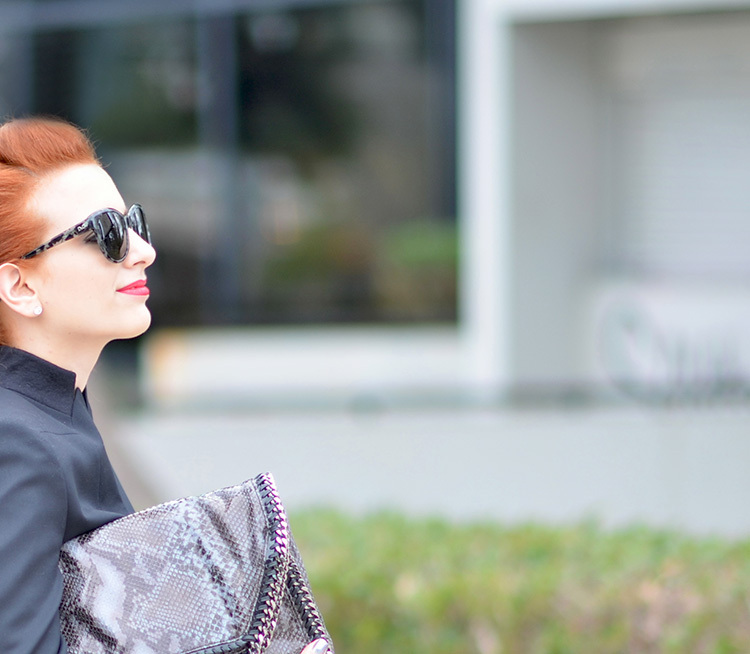 The little black dress, the white shirt, the pencil skirt, the trench coat are only some of these, and if you ask me the blazer deserves just as much a place among the immortal items of style. However, a blazer is one thing, a Stella McCartney blazer another- so let's focus. The impeccable quality and precision cut design with Stella McCartney's signature are some of the traits that have made her blazers so impossible to resist, alongside the fact that a blazer of course is timeless. 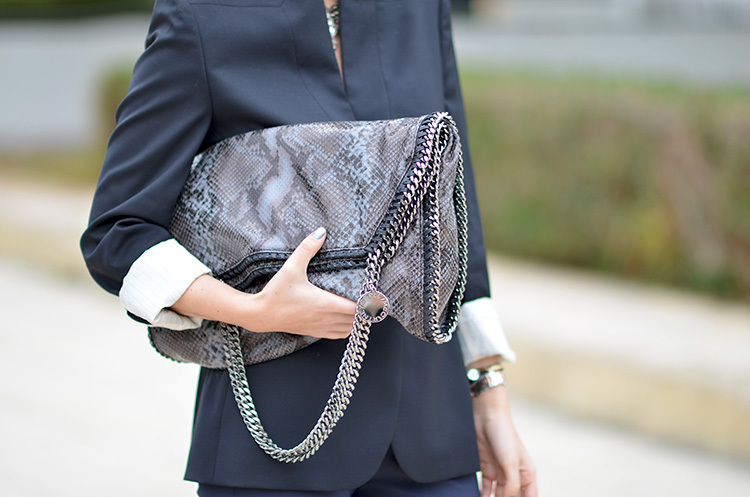 The falabella tote is my most valued acquisition of the sale season, also a signature McCartney piece in python print. Finally, the necklace that you see popping through the neckline of the blazer is I guess what made me tie all this together in the first place: a handmade piece from India, from the collection that I plan on marketing later this year, which I will show you in full on another occasion, but that for now adds just enough chicness to the ensemble! Now besides the fact the my hairstyle (which I adore in case my hair stylist is reading this) makes me feel like part of a science fiction movie that takes place in 2080 where cars fly and people walk on glass (whoops Maison Martin Margiela made sure I did that already), I am super in love with this look, et vous? You're right! This is not a common blazer. Stella mcCartney is perfection in cut and design. I also love the bag, which I'm willing to buy since I saw it for the first time... everything she does is great! Thanks so much for your comment Sandra! Love your photos!!! What is your camera?? Im using a Nikon D7000. Its a good one, especially for fashion photography. gorgeous blazer indeed! and we have the same boots!! thanks Laura! Im so glad I got them on time! This is such a great outfit!!! Love ur handbag!